A-2903 / S-1790– Quijano (D20); Lampitt (D6); DeAngelo (D14) / Weinberg (D37); Greenstein (D14) – Concerns law regarding failure to pay wages. NJBIA opposes this bill and will be submitting testimony. A-2903 / S-1790 had motion to amend on Senate floor (Oroho); motion to table Senate amendments 22-15 (Weinberg) and passed in Senate 23-12. A-3692 / S-2241 – Houghtaling (D11); Downey (D11); Calabrese (D36)/Gopal (D11) – Requires Department of State to develop “New Jersey-Made” designation. NJBIA supports this bill. S-2241 was substituted for A-3692 (1R). A-3692 passed in Assembly and sent to Governor 75-0-0. A-4221 / S-1074 – Pinkin (D18); Zwicker (D16) / Smith (D17); Bateman (R16) – Provides for protection of public right of access to certain public trust lands. NJBIA supports this bill. S-1074 was substituted for A-4221 (2R). A-4221 passed in Assembly 71-7-2; received in Senate, 2nd reading in Senate to concur with Assembly amendments and passed in Senate and sent to Governor 35-0. A-4972 – Moriarty (D4) – Establishes certain consumer protections related to arbitration organizations. NJBIA opposes this bill. A-4972 passed in Assembly 72-5-0. 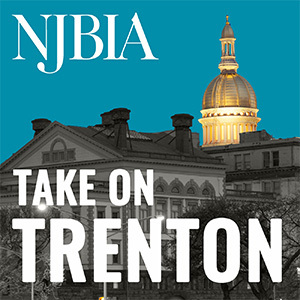 A-5111 – Kennedy (D22); Jones (D5); Pinkin (D18) – Establishes “Innovation District Designation Program.” NJBIA supports this bill. A-5111 passed in Assembly 77-0-0. AJR-118 – McKnight (D31); Timberlake (D34); McKeon (D27) – Designates April of each year as “Financial Literacy Month” in New Jersey. NJBIA supports this bill. AJR-118 passed in Assembly 77-0-0. AJR-139 / SJR-72 – Thomson (R30); Kean, S (R30); DeCroce (R26) / Singer (R30); Weinberg (D37) – Designates second Monday of May each year as “New Jersey Economic Development Day.” NJBIA supports this bill. SJR-72 was substituted for AJR-139 and passed in Assembly and sent to Governor 76-0-0. S-2256 – Cruz-Perez (D5); Singleton (D7) – Establishes Main Street Assistance Program to encourage business development in small municipalities. NJBIA supports this bill. A-2256 passed in Senate 39-0. S-3066 – Ruiz (D29); Singleton (D7) – Creates five year High-Growth Industry Regional Apprenticeship Development Grant Pilot Program. NJBIA supports this bill. S-3066 passed in Senate 39-0. S-3202 – Lagana (D38); Gopal (D11) – Requires hospitals to provide breast cancer patients with information concerning reconstructive surgery; prohibits certain provisions in managed care plan contracts. NJBIA opposes this bill. S-3202 passed in Senate 39-0.